Veteran NASA astronaut Rick Mastracchio has retired from NASA; his last day with the space agency was June 16. Beginning in 1987, Mastracchio worked first with Hamilton Standard and then with Rockwell Shuttle Operations Co. before coming to NASA in 1990 as an engineer. He worked in the Shuttle Avionics Integration Laboratory on space shuttle flight software, and in the Astronaut Office on ascent and abort procedures for crew members. From there, he became a Guidance and Procedures Officer flight controller, working in mission control for space shuttle ascents and entries, before being selected as an astronaut in 1996. 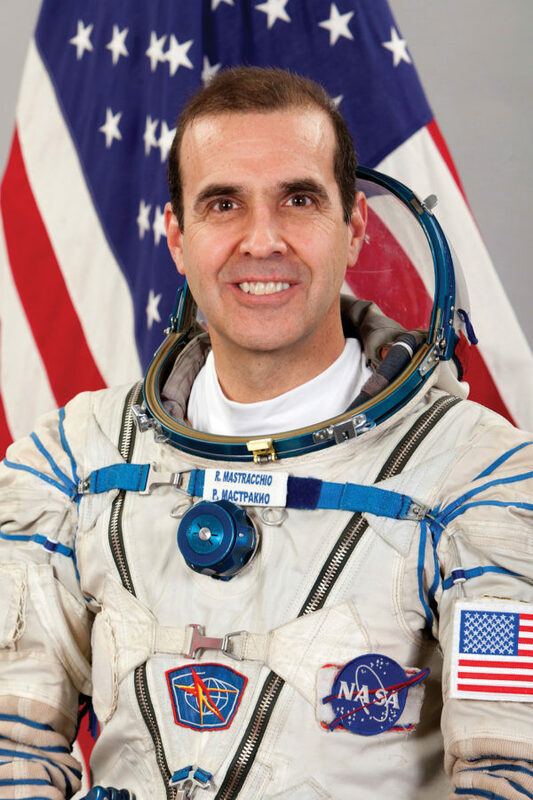 As an astronaut, Mastracchio logged 228 days in space on three space shuttle missions and one long-duration stay at the International Space Station. His first flight, STS-106, came in 2000, on board space shuttle Atlantis, when he and his crewmates worked to prepare the space station for its first expedition crew. He returned aboard space shuttle Endeavour for STS-118 in 2007, when as lead spacewalker, he participated in three spacewalks to install a new truss segment, a new gyroscope and a new spare parts platform on the space station’s exterior. In 2010, Mastracchio was part of the STS-131 crew of space shuttle Discovery. He performed another three spacewalks and helped deliver 27,000 pounds of hardware, including three experiment racks and new sleeping quarters for the space station. He was then able to put the hardware to use in 2014, when he spent 188 days in space as part of the Expedition 38 and 39 crews. During that stay, he performed three more spacewalks, leaving him with a total of 53 hours spent outside the space station on nine spacewalks. Mastracchio was born in Waterbury, Conn. He holds a B.S. in Electrical Engineering and Computer Science from the University of Connecticut, and M.S. degrees in Electrical Engineering and Physical Science, from Rensselaer Polytechnic Institute in Troy, N.Y., and University of Houston-Clear Lake, respectively.